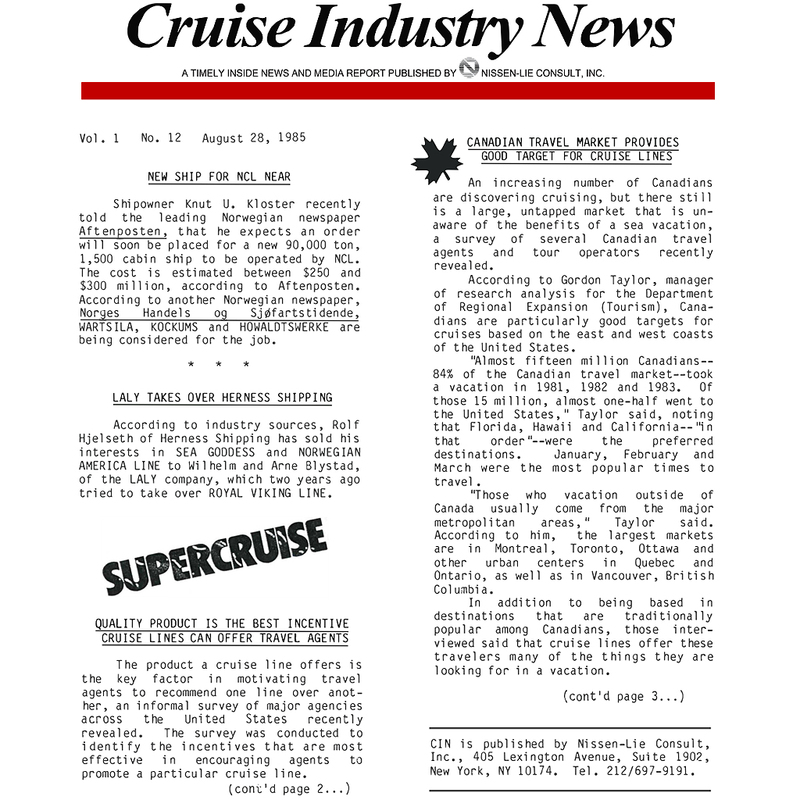 1985 archive of all Cruise Industry News Newsletter editions from that year. 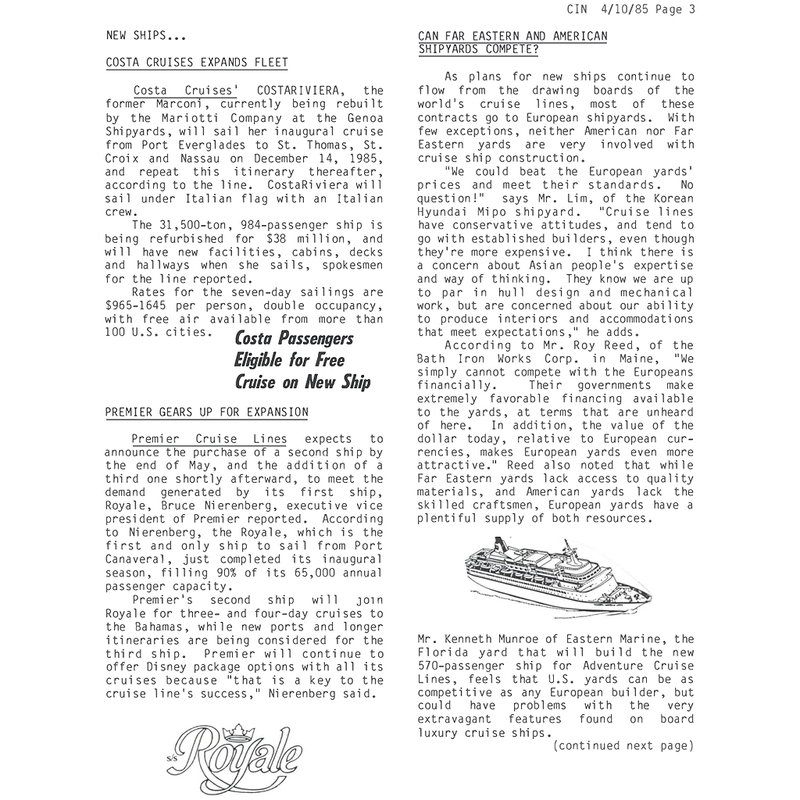 Downloadable zip file with searchable PDFs. Covering all news, financial reports, ship movements, deployment, rumors, executive announcements and other key parts to the year.